To celebrate IDAHO 2012, Polari Magazine is publishing stories from its writers about their experiences of homophobia and transphobia. Some tales are funny, some are shocking and some are sad. 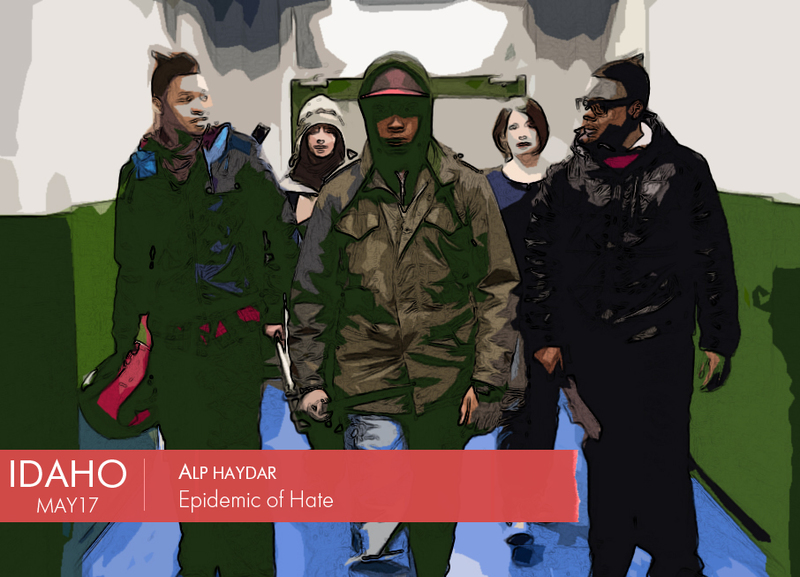 Performer and cabaret artist Alp Haydar asks if there’s an epidemic of hate in our society. My mind darts back and forth between a decade’s worth of nightmare moments. In a city that Boris Johnson claims prides itself on its open-mindedness, anti-gay hate incidents have risen by 28 percent in the last four years and continue to do so. I still reel with anger when I wait for my night bus at Trafalgar Square, 3 years after the tragic murder of Ian Baynham by those two vacant kids. For holding hands with his partner. Unprovoked. In the central of our city. And yet whether it’s the Sharia ghettos of the East End or the more genteel villages of the suburbs, I am not able to walk hand in hand with my partner either, without fear. Jeers are a given. Or worse, something is thrown at you. When did I get so militant? When was I handed this axe I seem to enjoy grinding so much? Quite recently. Perhaps 6 months ago. Years of insults and cat calls from passing cars I could deal with. Perhaps even with some smug confidence that I wasn’t a particularly ‘femme’ guy, and that at least these things would only happen when I was with a partner, not on my own. That’s until my partner and I were attacked by a group of drunks. Believe it or not, on Southbank. It was around 11 at night, we were walking from the theatre to cross the bridge and we were surrounded by 5 lads, who pushed us, punched my partner in the side and spilt their beers on us. I felt degraded and humiliated and it made me angry. And the anger hasn’t gone. The police said they would send a car out to look out for them. I never got a call back from the police. There is an epidemic of hate in our society. And this level of abuse scares others into perpetrating it further so as not to be attacked or singled out themselves. We have to catch the problem early. In schools. Children need to understand that you can fancy whomever you like, it’s nothing to laugh about or find funny. Sexual orientation is as ‘normal’ as the difference between curly hair or straight. But of course if that happened we would be living in a fantasy world. So I guess we’ll have to stay in the nightmare then.